Seven Samurai is a legendary 1954 action movie, which has inspired many movies since then. The battle scene at the end is considered especially epic. The Seven Samurai release is yet another blu-ray movie from The Criterion Collection and, like so many of them, is considered to be very well done. It placed third on the best blu-ray list of 2010 and is reported to be an top notch blu-ray presentation and to feature excellent extras. 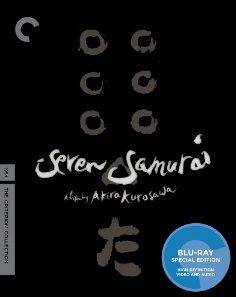 Order your copy of the Seven Samurai blu-ray movie from Amazon.